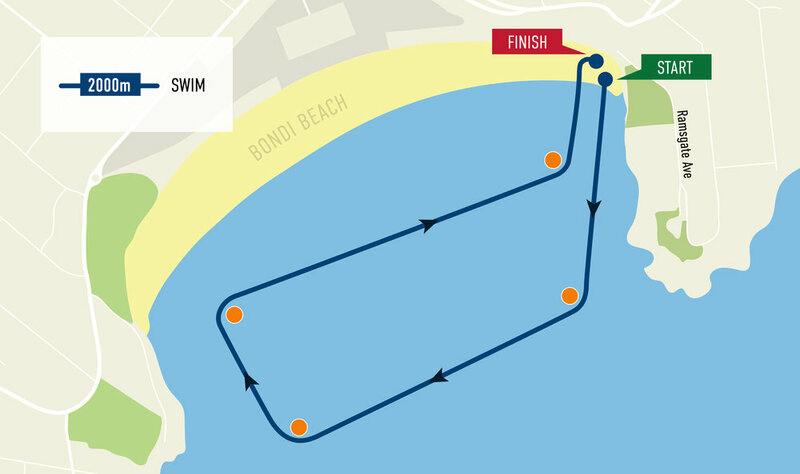 If you love the splashin but hate the dashin this year you can take on our brand new 2km ocean swim. Great for rookie swimmers looking to achieve a goal of swimming in the ocean, also challenging for the old sea dogs that want something new and exciting, that will challenge their skills. 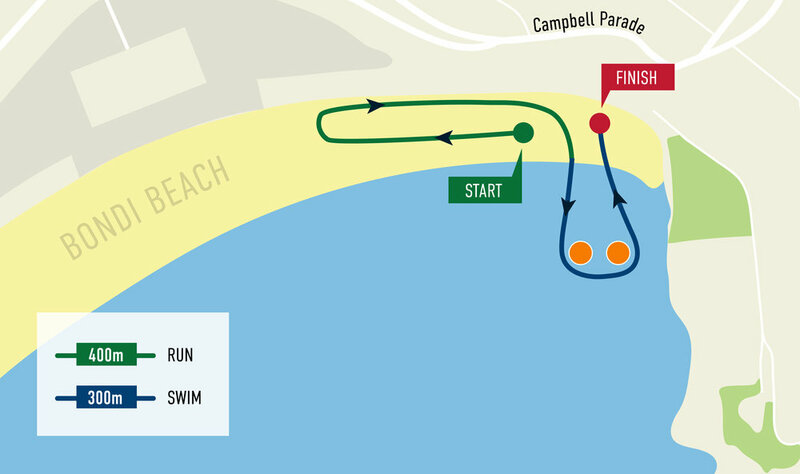 You also have the option to do both the Bondi Splash 2000 & Bondi Splash n' Dash. See combo for prices. Each participant will receive a branded Bondi Splash n' Dash drink bottle as they cross the finish line. Whatever your ability, whatever your age, this is your chance to make your mark on our country's most famous stretch of sand. The 1km run | 1km swim | 1km run is as suitable for newcomers as it is for seasoned athletes. 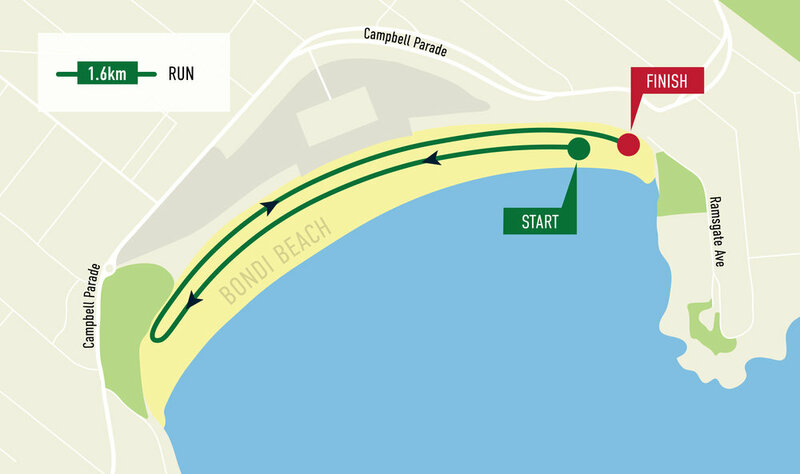 You also have the option to do both Bondi Splash n' Dash & Bondi Splash 1000. See combo for prices. Award for the most average time (male and female) in the Bondi Splash n' Dash. You must be at the presentation to claim your prize.